This is without a doubt the biggest haul ever done on Beauty Aesthetic. 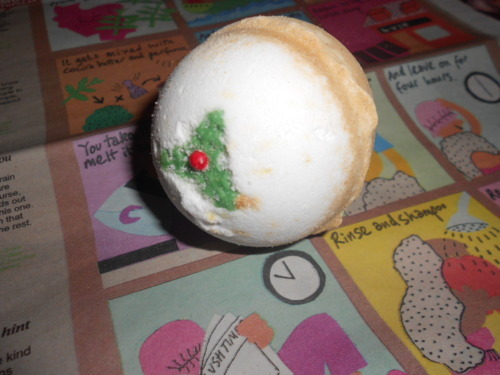 With most other beauty bloggers, we all get excited about Lush, especially at Christmas when they bring out their festive collection of products which aren’t available all year round. They also make great gift sets which most people will enjoy (though having to give them away is very tough!). 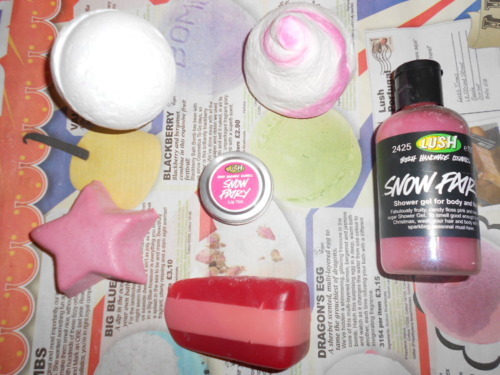 I decided to include items from Lush I purchased myself and items that I was given to me for Christmas from Lush too, so not everything was bought by me! Most of the items bought by me were purchased after Christmas during the Lush sale so I saved a ton of money (around a £40 saving) and stocked up on the great Christmas collection. Items marked with a * were gifted to me. I did buy multiples of each product too so I won’t have to buy any more for a very long time haha. I hope you enjoy this haul, be warned, its very picture heavy! I was very happy to receive this set for Christmas from my brother. If you love sweet scents then this box is definitely for you. It includes one of my all time favourite Lush soaps Rock Star which leaves your skin feeling amazingly soft and moisturised (not to mention smelling great!). Candy Cane soap which I hadn’t tried before but is a fresh minty scented soap. Snow Fairy Lip Tint which gives your lips a lovely subtle pink tint while keeping them soft and moisturised. 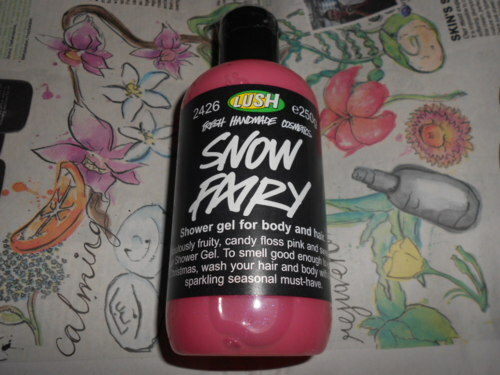 Snow Fairy was a product I fell in love with and came in handy when I was in London (for the 4 or 5th time since September!!) just after Christmas, it doubles up as a hair shampoo which was surprisingly amazing for my hair and really easy to wash out. The gift set also contained a So White Bath Bomb and a Candy Mountain bubble bar. This gift set was also a present for Christmas from my Dad. I thought it was a little strange how they included two contrasting scents in the box, usually the gift boxes has scents which compliment each other but these are completely different. The Merry and Bright box contains the Northern Lights Soap which is really strong with its citrus, lime scents. I really like the mix of colours in the soap too which represent the colours of the auroras of the northern lights really well. The set also contains the Glogg Shower Gel which has two of my all time favourite scents, cinnamon and mulled wine. The shower gel does smell a little bit medicinal in the bottle but smells much much better in the shower. This was part of my present from Lisa this Christmas, we actually both got each other stuff from Lush this year. 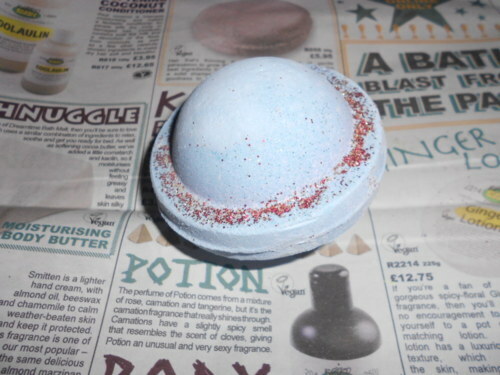 I used this bath bomb last night and it turned the bath a gorgeous violet colour with little red sparkles around the water. Surprisingly I didn’t get out the bath covered in glitter but I really loved this bath bomb. Thanks Lisa! I was surprised how big this bath bomb was compared to the rest of them. The fact that it is so big means I’ll probably be able to cut it in half and get two uses of it though, always a bonus! It contains mandarin oil, bergamot oil and orange flower absolute so if you like citrus scents then this is the one for you. Very fresh and energising. Shaped like a little Christmas pudding, how cute! 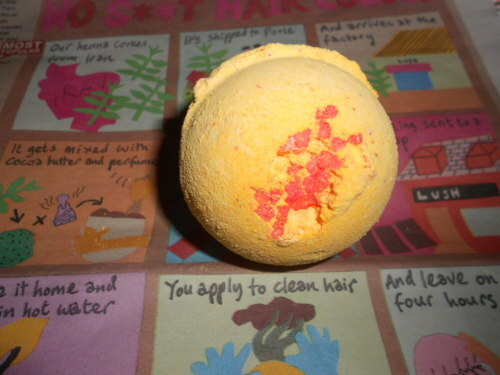 I was surprised to learn that Lush have actually been making this product for 10 years now, so it must be a customer favourite. Smells very fresh and contains aloe vera extract and rose absolute so I’m excited to try it. It took me a while to get a good photo of this product because it is so white (pardon the pun). It smells exactly like apples, kind of reminds me of memories of Halloween dunking for apples. I’m excited to see what it looks like in the bath. The scent is noticeable but not too overpowering. I know all the beauty bloggers rave about Cinders (so much so that I bought 4..) Any products which I hear have a spicy scent or contain cinnamon and you’ve got my attention. I’ve heard it turns the bath a slightly undesirable colour but if it smells nice then it doesn’t really bother me. Isn’t this just adorable?? I’ve never used a bath melt before but I imagine it would be like using a bath bomb but contain slightly more oils to soften the skin. It has strong scents of marzipan and vanilla, not my favourite scents of all time but it isn’t too bad. 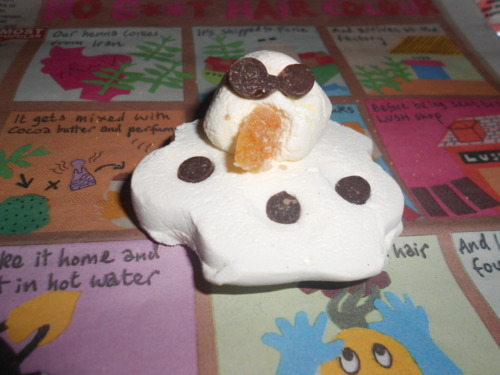 I’m really curious about the nose because it looks like a jelly sweet so I’m not so sure how well that will dissolve in the bath, I’ll have to wait and see! I’ve been lusting after this product ever since I heard about it. 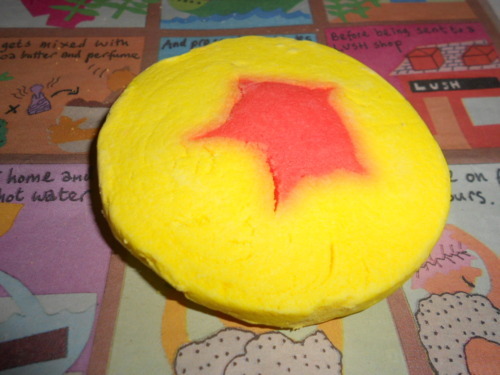 Again, another sweet scent but this bubble bar is a little bit different. 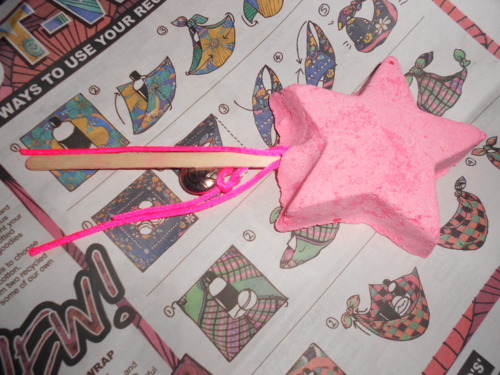 As you can see it’s on a stick so you take the “magic wand” and swirl it in your bath so you’ll get a good few uses out of it. Plus it has a cute little bell attached, how sweet! Another vanilla scent which I really like. 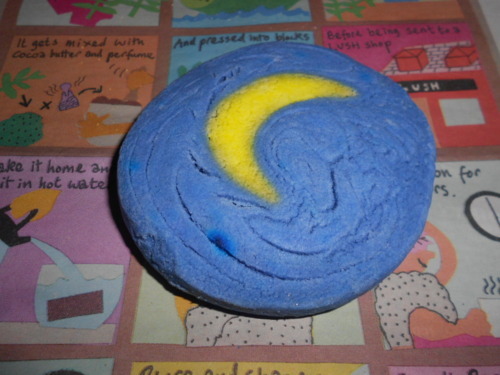 It has little subtle gold speckles so its sure to make your bath shimmery and golden. I was a little bit confused by the name because I don’t see any rings but the ones on the website look a lot more swirly than mine, not that it matters. It has been described to have the same scent as the Crème Anglaise body lotion, so if you like that scent then you’ll enjoy this one. One of the things I love about the Bubble Bars more than the bath bombs is that they’re usually a lot bigger so you can get two uses out of them, plus who doesn’t love a good bubble bath. Lush claims this bubble bar is strawberry scented but I don’t pick up on that at all, so I’m not really sure how to describe the scent! 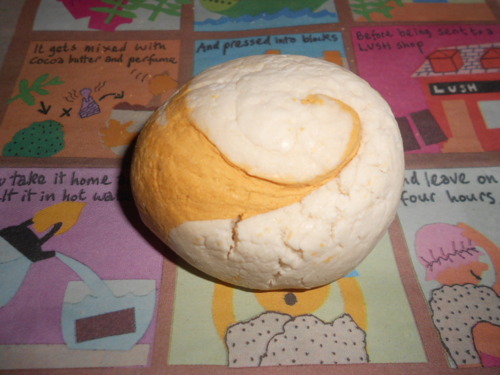 I love the colours of this bubble bar so I’m looking forward to using it in my bath. It contains scents of Jasmine Absolute and Ylang Ylang Oil which is actually quite energising and kind of wakes you up. The product is a great size so you’ll definitely get a few uses out of it. After I received this in a gift box that I mentioned earlier, I had to stock up. It does look sparkly in the container but I’ve never been covered in glitter in my hair or on my skin once. It smells exactly how it is described on the label, candy floss sweetness! 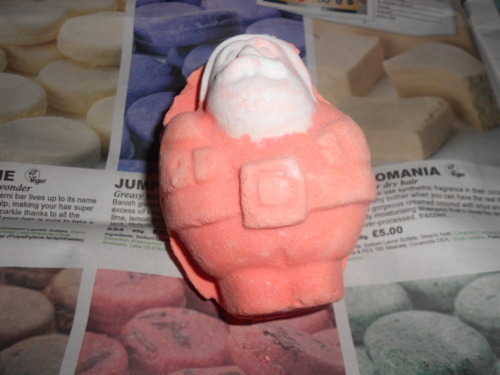 And there you have it, my Christmas Lush haul. 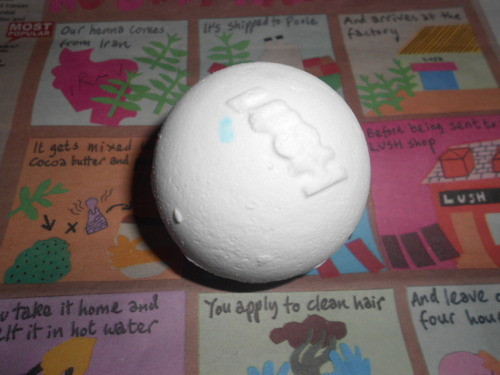 I hope you enjoyed this post and let me know you’re favourite Lush products. I hope everyone didn’t find the backgrounds too distracting, just trying something a little bit different! OHHH love lush! great haul. Im new to your blog, love it! Please visit my blog too. Can you post the link to the lush website?